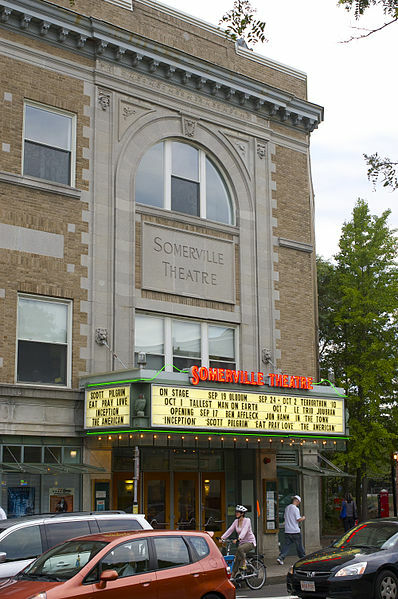 Somerville is situated two miles northwest of Boston. As of 2010, the United States Census has the city with a total population of 75,754 people, and is the most densely populated municipality in New England. As of the year 2000, it was the 15th most densely populated city in the country. Somerville was established as a town in 1842, when it was separated from Charlestown. In 2006, the town was named the best run city in Massachusetts by the Boston Globe. In 1972, in 2009, and again in 2015, the city was awarded the All-America City Award. Sullivan Square, in the Charlestown neighborhood of Boston, is just over the border from East Somerville; Inman Square and Lechmere Square, all in Cambridge, are also just outside Somerville. Porter Square is in both Somerville and Cambridge.